Labeling software brings your recordable media to life by taking a standard, blank disc surface and transforming it into a customized, professional presentation. 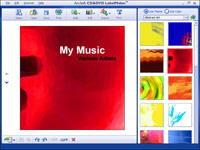 This type of software is intended to design, save and print artwork or other surface images through a computer application that can be purchased or downloaded for free online. Label software also may include templates for other packaging supplements like case inserts and covers. 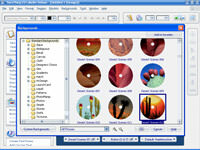 There are two different ways software can be used to create disc labels. You can either have a program that will create label art that can be printed directly on the disc, or one that will create your design to be printed onto adhesive label sheets that can be peeled and applied to the disc's surface. Your CD, DVD and Blu-ray label software should be examined for certain specifications. 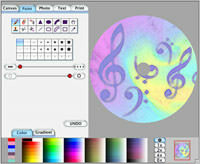 Take a look at the features; do you have a number of different options to create artwork? Can you import photos or images from your camera, scanner, flash drive or video camcorder? Does your software have a gallery of images and background art to choose from, or drawing tools to create original art from scratch? Can you edit images if need be? Does the design templates offered correspond to your creative needs? Additionally, find out what kind of labels the software offers. Whether you plan to use adhesive labels or an on-disc layout, be sure it provides your needed templates. Also, if you plan to design the entire packaging, you will want a software application that offers templates for creating case inserts or entrapment covers. Explore if the label software is user friendly, intuitive to follow and matches with your level of experience with similar programs. Support for the software is also essential. You'll want to check to see if the software company offers a help line to call, an online page with a comprehensive FAQ , or a tech support email address if you're having trouble. Outside of the disc labeling software itself, you need to take into account what your printer is capable of performing. If you choose on-disc print labeling, your printer must have the functionality for it. The same concept goes for adhesive label sheets. Due to heat and pressure, some printers may not be able to handle the paper feed of an adhesive sheet, and it will result in the breakdown of the adhesive or cause a jam. Also, whether it's inkjet or laser, the finish of the paper must be matched to the printer. Providers of label software come from a variety of sources. Software publishers design suites that specifically cater to labeling and all of the aspects it entails. Label companies like Neato develop their own software to use on CDs, DVDs and Blu-rays. Media duplication services or software and technology websites often supply these applications for free, without the requirement to purchase any products. Free downloads however are not always the case and some software sites will require purchase. Media vendors like Verbatim, Maxell and Meritline are known to provide label kits which come with not only the software, but cases, label sheets, blank inserts and disc label applicators. If you are working with a media suite, developers like Nero, Pinnacle and Roxio already incorporate label making into their burn software. Through the purchase of an inkjet disc printer, affordable manufacturers like Epson or Dymo also include on-disc label software. CD Information Center explores a few considerations on disc labeling software for informational purposes. However keep in mind there are countless options available, and you must decide on one depending on your skill level and needs. The latest version of SureThing by Microvision boasts more than 5,000 design templates that are specifically geared toward the creation of CD and DVD labels. Its double function lets you print directly to an inkjet disc printer or onto adhesive label sheets. Import and edit photos, images or choose from more than 5,000 clipart selections. Sure Thing will also shrink your art to accommodate the size of the disc so that the integrity of the image is not compromised. To minimize your typing efforts, a tracking tool will import and fill out titles and tracks from your original media source. The program is easy to navigate in part due to several tutorials offered within it. Sure Thing is compatible with LightScribe drives, but will not function with a Mac. If you're looking to use this as an ultimate labeling tool, it functions perfectly for media; however it provides narrow options for labeling products outside of the media realm. 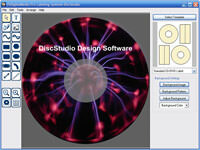 Discus provides CD and DVD labeling software from Magic Mouse Productions. What makes the latest versions of Discus software stand out is its versatility; it can operate on a PC or Mac and it can print on adhesive labels or directly from disc to printer. It accommodates more than 2,000 label formats. Discus offers photo editing tools for your imported images and more than 1,000 art backgrounds. For Mac users there is an export option to use if you plan on sending your disc artwork for a large order to a duplication house. You can also change paper layouts without sacrificing the look of your design. Pricing runs up to $40 for a full version, however some free trial versions are available online. Keep in mind that previous versions were prone to a few kinks, like error messages or missing files due to upgrade issues. DiscStudio is a free label program from US Digital Media that can be downloaded from CDROM2GO.com. With DiscStudio, you can create, print and save custom CD and DVD labels and inserts. Simple and straightforward, the application performs all necessary and basic labeling functions: selecting a disc template, choosing from 1,000 stock images and clipart, importing your own images, typing text and using drawing tools to create new art or change shading. CDROM2GO supplies an instruction manual, tech support email, FAQ and troubleshooting guide should you encounter any issues. While DiscStudio is filled with helpful features and easy to follow menus, many media projects demand more. In that instance, you may need to look into more detailed, multipurpose label software to fulfill your needs. ArcSoft provides label-making software with a broad range of features that target templates for CDs and DVDs. This program is thorough and comprehensive, yet one-note in that it offers labeling strictly for discs. Nonetheless, it makes the most of the features it offers. You can not only import photos and other images, but you can also import playlists or video chapters that transfer your entire menu and track information. Creativity options abound with this program for text, color, font, shadows and background designs. You can even edit a still image to use for your packaging cover or insert. An in-depth help section and natural program layout make it easy for almost anyone to use. ArcSoft is not supported on Mac and comes at a price-it label program can be purchased or downloaded online for just under $30.